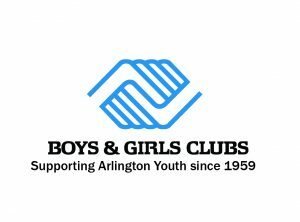 Since 1926, Boys & Girls Clubs of Greater Fort Worth and Boys & Girls Clubs of Arlington have each been at the forefront of youth development in their communities. In October of 2018, the two organizations merged to become Boys & Girls Clubs of Greater Tarrant County with the mission of enabling all young people, especially those who need us most, to reach their full potential as productive, caring, responsible citizens. Boys & Girls Clubs of Greater Tarrant County provides enriching services and outreach programs to more than 21,000 at-risk youth in Tarrant County. For thousands of families in our community, Boys & Girls Clubs of Greater Tarrant County is a lifeline, providing youth and teens a safe place to go during critical after-school and summer hours. At the Club, they share in fun and enjoyment with other members and recognize and celebrate their achievements all in a safe, positive environment that guides them to reach their full potential. Dramatically changing the odds for kids in our community, Boys & Girls Clubs of Greater Tarrant County strives to ensure success is attainable to every single child, to bring a world of creativity, interactive learning and critical developmental skills to Tarrant County’s most vulnerable young people. ● Pre-College Programs are geared to break the cycle of low educational attainment. Upward Bound and Educational Talent Search programs focus on graduation and college enrollment, providing services to low-income and potential first-generation college students. ● Intervention programs that go beyond the easy stuff. Comin’ Up Gang Intervention provides career, education and life guidance for youth involved in gangs. Open late at night in hard-to-reach communities, this program offers real solutions to difficult situations. ● Innovative science, technology, engineering, art, and math programming offer an enriching curriculum for kids who need it the most. Clubs provide world-class education, leadership and healthy lifestyle programs to our county’s most vulnerable young people, helping them build bright futures and helping low-income families afford enriching after-school and summer activities. ● Youth armed with resilience skills are equipped to avoid problems later. Prevention programs are offered to school-aged youth in a variety of settings. Carefully organized to reach communities that are plagued with alcohol and drug challenges, these services are needed to break destructive cycles. With programs and Clubs located in the areas that need our attention the most, the Clubs strive to create brighter futures for youth in Tarrant County. Often unnoticed, these children can be left behind, but with strong advocates, they are given an opportunity to excel. 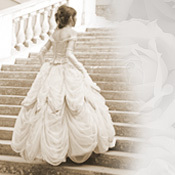 The funds from the Cinderella Ball go directly to support the programs and services offered by Boys & Girls Clubs. They go toward the future of a child and open the door of opportunity for youth who need us most. With the help of the Cinderella candidates and other generous businesses and supporters, Boys & Girls Clubs of Greater Tarrant County has provided a safe place for young people for more than 90 years.